The Largest 10k in the World! 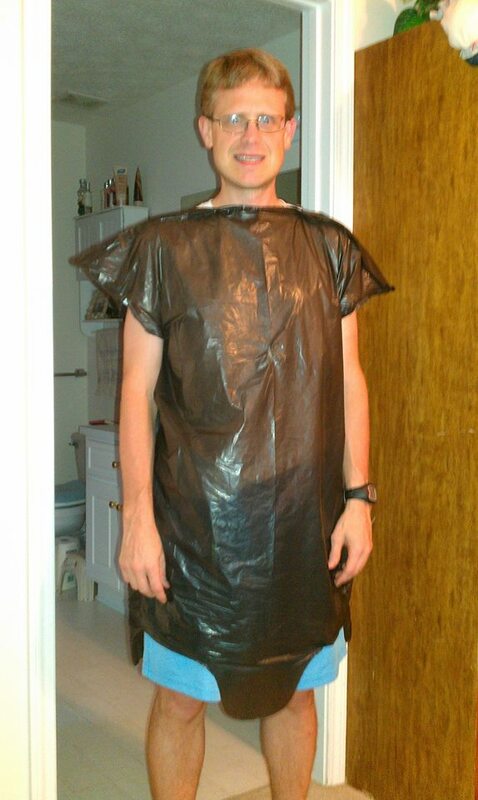 And this is what I chose for my first 10k. And it was exciting! 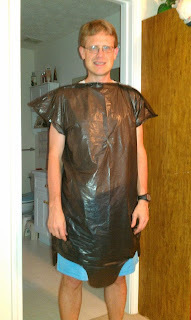 Husband had read in a running magazine to use a trash bag to keep dry until the start of the race. Then you rip it off and go! 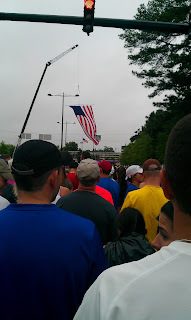 And as they moved us in corals toward the starting line, I was feeling like this was going to become my new fourth of July tradition!!! 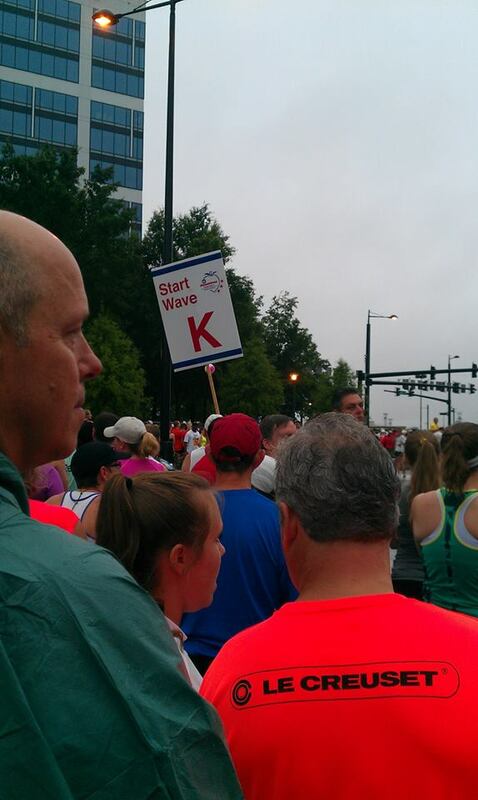 I was in wave K based on my fastest 5k time. Before things got started, I made sure we took pre-race pics in front of the iconic Peachtree flag, too. See the flag in back of me? 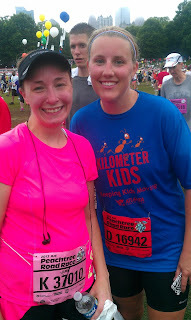 My friend Rachel - who has run half-marathons, 10ks, and 5ks - was in town to visit family and run the Peachtree too, so she joined me in coral K so we could run it together. Now, a note about this: I've never run a race WITH someone. Yes, Michael and I run the same races at times but not TOGETHER. When we hear the gun go off, he runs at his pace and I run at mine, so this was my first time running WITH someone beside me, motivating me, and carrying on a conversation. I realized, I really LIKE running with a buddy! It made the experience that much more enjoyable!! Then, after I had run about a 5k - and hit the dreaded "Cardiac Hill" - I had to walk some. 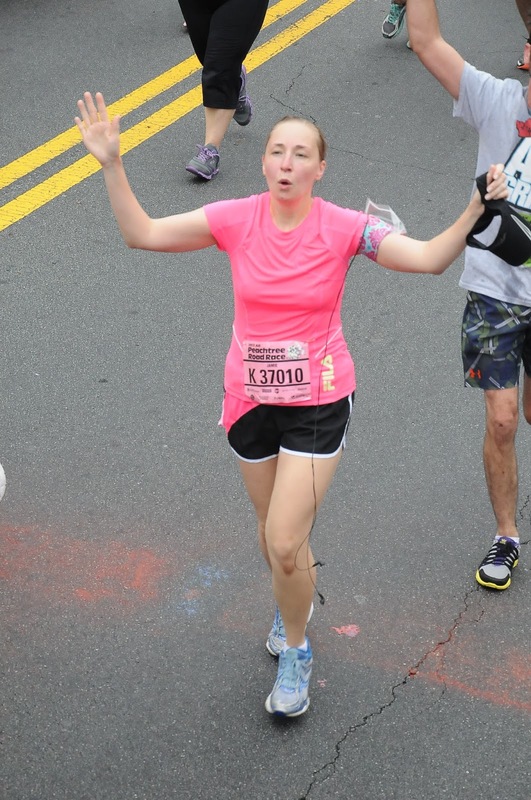 I hated to lose my pace with my running buddy, but my body - my lungs - yelled, STOP! And I had to listen. 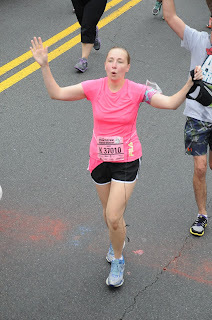 I've learned a few things about running a 10k. Well, at least, about running a 10k for ME. 1. I have to train better next time. I have to work up my mileage slowly - which I hadn't really done. 2. AND I have to do that OUTSIDE. Running inside the YMCA or inside on a treadmill did not adequately get me to where I needed to be to run 6 miles in the Georgia humidity without stopping. 3. And lastly, I hate running 6 miles. I just don't like it because I don't understand it, for ME. Why run 6 miles when 3 miles give you the same high but a better sense of accomplishment? Running 3 also gives me what I love most about running - time with myself and the metabolism to EAT! 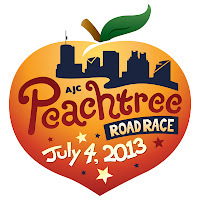 So, when asked by my hubby if I'd run the Peachtree again next year, I replied, "I don't know." Ask me next May - about the time I'd have to start training for it again. 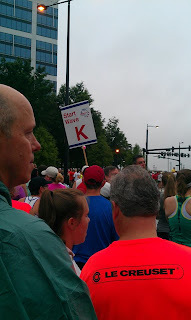 As for now, it's 5ks for me! In fact, I have a 5k that is at my church this weekend! Looking forward to it!! But having said all that, I can say I did enjoy the Peachtree. I discovered new things about myself as a runner. I ran with a running buddy for the first time - and LOVED it! But most of all, I finished a 10k - the largest in the world! My time for my first 10k was 1 hour and 20 minutes. Nothing to shout about. But sometimes, when running a race, simply finishing is the biggest accomplishment! Today's forget-me-not: Finish what you start. 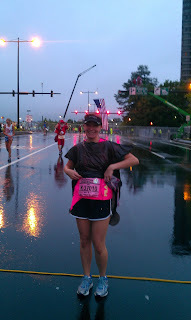 I have a friend who always runs in memory of Megan there. 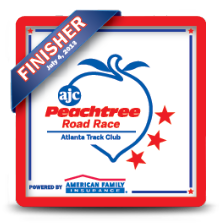 She is actually setting up something next year so that a group of runners will be wearing tutus and etc in memory of her at the peach tree. Would you be interested? I can give you her email lol. She is all kinds of awesome. https://www.facebook.com/pages/Kimberly-Smith-Fitness/400945253292782?fref=ts here is her page, if that's easier to connect with lol.